Mayor John Higham says Sackville is ready to benefit from a 10-year provincial education plan that encourages communities to develop new ways of learning for the 21st century. “I think the opportunities are immense and that this community is ready for them,” Higham told about 75 people Thursday at Town Hall. 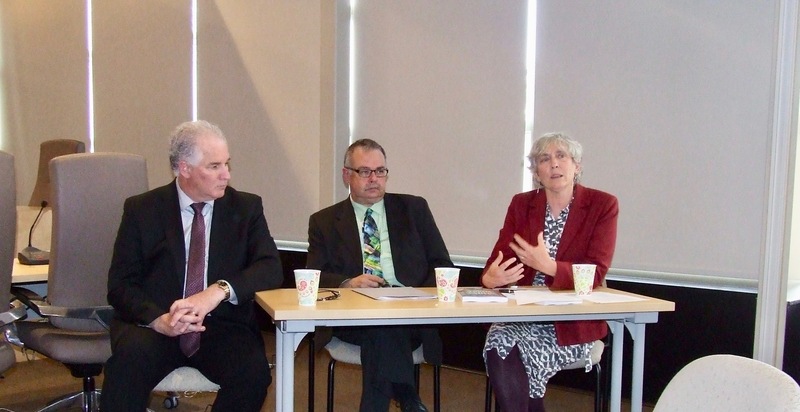 The mayor made his remarks at the opening of a two-hour discussion organized by Sackville Schools 2020, the community group established almost two years ago. So far, the group has been lobbying officials at the provincial and district school levels for an integrated approach to learning in a town with elementary, middle and high schools, a public university, the Tantramar Seniors’ College and many other community and government organizations. 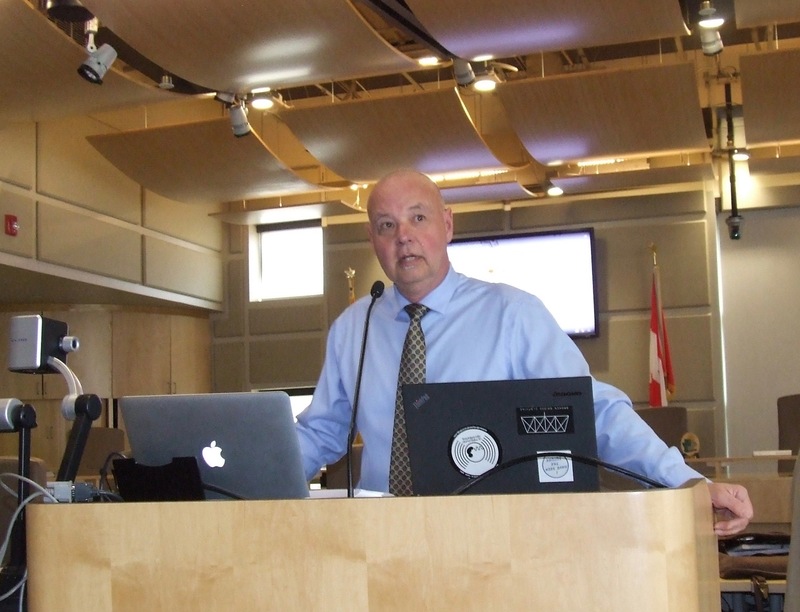 Sackville Schools 2020 member Craig Evans told yesterday’s meeting that the accounting firm Ernst and Young will issue a report soon on its projections for the number of public school students that will need to be educated in Sackville in the coming decades. The firm is also looking at the costs of repairing or replacing the nearly 70-year-old Marshview Middle School and the half-century-old Tantramar Regional High. There seemed to be broad agreement among speakers at yesterday’s meeting that Sackville needs a new approach to learning. Chris Treadwell, assistant deputy minister of education, suggested the province’s new education plan aims to change a school system that relies on outdated methods, some of them more than a century old. And he praised Sackville’s proposed community-based approach to learning. Gregg Ingersoll, superintendent of the Anglophone East School District, said the New Brunswick education system has not kept pace with Internet-based technologies that are now more than two decades old. He said that in the old way of teaching, the teacher shared knowledge with students who were expected to “regurgitate that back” in the same way it was taught. Molly Hurd, a long-time teacher and author of the book, Best School in the World, described her involvement with a small progressive, independent school in Halifax where learning is integrated using broad themes. She said, for example, oceans served as one theme enabling students to learn a broad range of core subjects while studying the oceans. They also went on field trips and heard from classroom guests. And, James Seaman, an educational architect, talked via video link about how new schools are being built with more open, collaborative learning spaces instead of rows of isolated classrooms connected by hallways. After the meeting, Craig Evans of Sackville Schools 2020, said he was pleased that New Brunswick’s education officials strongly supported his group’s approach. He said there are still hurdles to overcome in getting money allocated for a new school or schools, but everyone appears to share the same philosophy. This entry was posted in Town of Sackville and tagged Chris Treadwell, Craig Evans, Gregg Ingersoll, James Seaman, John Higham, Molly Hurd, Sackville Schools 2020. Bookmark the permalink. I was so encouraged to see Sackville pushing ahead with forming an integrated education community! It was a pleasure to be a part of it…and thanks for this article.